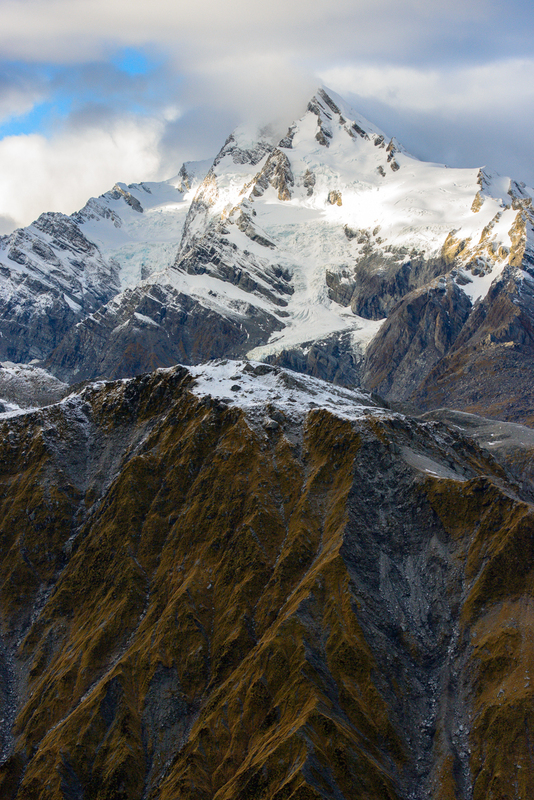 This image was taken in the beautiful Southern Alps mountain range of the West Coast region of New Zealand. We hired a helicopter so we could get up close to the majestic snow-capped peaks this region had to offer. One of the most dynamic places I have had the pleasure of photographing. Click on image to see the image fullscreen.